Richard Polsky, author, dealer and founder of Richard Polsky Art Authentication returns to the podcast to update us on his authentication business as well as discuss some recent happenings in the art world. Richard updates as to how the authentication service is going thus far. 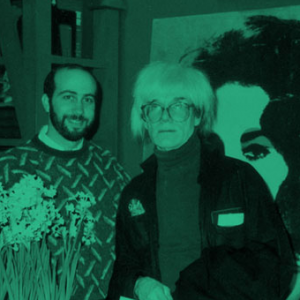 It was launched last October and focused exclusively on authenticating Andy Warhol artworks. Richard reveals that he has expanded his authentication business to include Jean-Michel Basquiat and Keith Haring. He shares some of the key factors he considers when trying to authenticate their artworks. Meanwhile, while the original authentication services for Warhol, Basquiat and Haring are now defunct he explores why in large part this is due to costly litigation. Richard clarifies why he believes he will be able to avoid such costs. He also reveals to what extent he has communicated with these respective artists’ estates regarding his authentication business. Lastly, Richard shares his thoughts on the current state of the art market. Finally, Anders reacts to the breaking news regarding Alec Baldwin, Mary Boone and Ross Bleckner.